Scotland Yard has also circulated images of two of the packages to sorting offices and transport workers in the capital — and other regional forces are also on high alert. For instance, Sussex Police have increased visibility and patrols at Gatwick Airport. After flaming kites, Palestinians have turned to crafting makeshift explosive balloons using contraceptives, and the IDF claims they also share videos on how to make them. 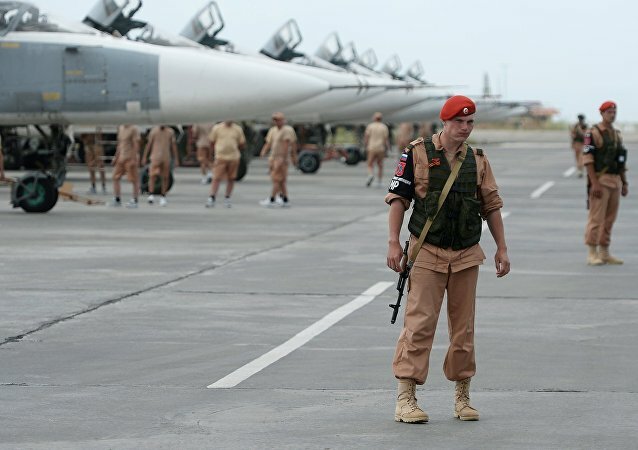 Russian Air Force has no incendiary ammunition and therefore it could not have used such weapons in Syria, the president of Russia's Academy of Geopolitical Problems, Col. Gen. Leonid Ivashov, said Tuesday. On Sunday, Russian and Syrian Army aircraft dropped a wave of heavy munitions over the city of Idlib, the base of operations for the terrorist organization al-Nusra Front (al-Qaeda affiliate) one day after rebels led by the Islamist extremist organization broke through the siege of Aleppo.